Nestled in the southern part of Oregon’s spectacular Cascade Range is Crater Lake National Park, home of one of the deepest and most breathtaking lakes in the world. There are few places on earth quite as beautiful as Crater Lake. 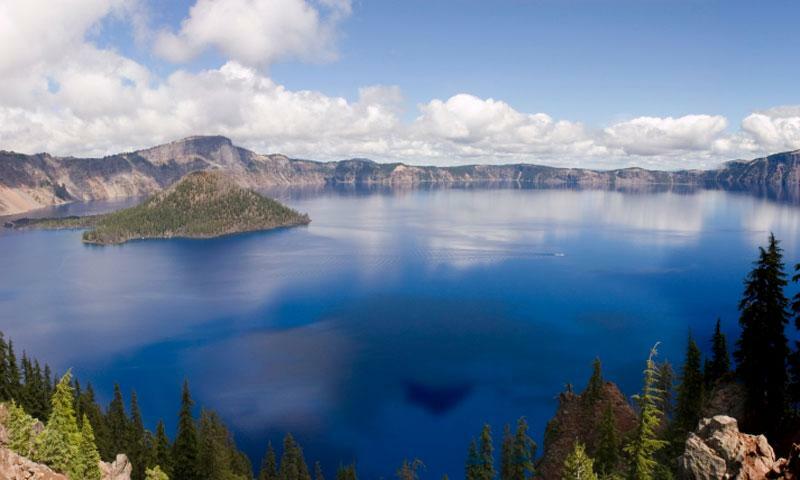 A volcanic caldera, this picturesque lake was formed when Mount Mazama erupted and collapsed nearly 7,700 years ago. The incredibly clear blue waters of this pristine lake are surrounded by rugged cliffs that reach nearly 2000 feet. A popular vacation destination for decades, Crater Lake National Park boasts some of Oregon’s most breathtaking scenery. Crater Lake Oregon is located in the south central part of the state, about 91 miles southwest of Bend (to the north entrance). The north entrance (closed early November to June) can be reached by taking Hwy 97 south to Route 138 west. 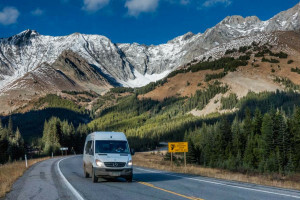 The south entrance can be reached year round by taking Hwy 97 south to Route 62 north (145 miles). Contact information: P.O. Box 7, Crater Lake, Oregon 97604. For Crater Lake travel conditions call 541-594-3000. Visit the website here. 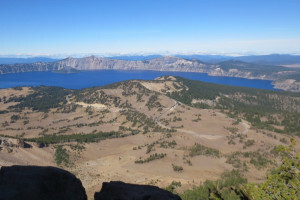 Crater Lake vacations can include a huge variety of activities. Following are some of the most popular. Camping – There are two campgrounds in the park that are open during the summer into early fall, so be sure to bring your tent and gear.Backcountry camping is available year round with a permit. 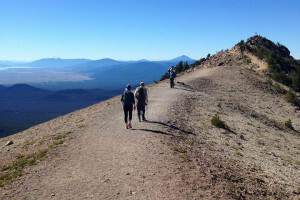 Hiking – Crater Lake is a hiker’s paradise with over 90 miles of scenic trails to explore, as well as 33 miles of the famous Pacific Crest Trail. Fishing – Avid anglers can enjoy year round fishing at Crater Lake (weather permitting). The crystal clear waters abound with rainbow trout and Kokanee salmon. Only artificial flies and lures are allowed, but you don’t need a fishing license within the park. Boat tours - Guided boat tours of the lake are available from July to mid-September. Biking – The 33 mile Rim Drive is a popular route for biking. Although narrow with many steep hills, the views are spectacular. Winter recreation – With over 530 inches of snow each year, Crater Lake provides ample opportunities for snowshoeing and cross-country skiing. Snowmobiling is allowed just outside the park’s boundaries. The deepest lake in the country, Crater Lake is 1,943 feet deep. It is the 7th deepest lake in the world. Over 482,000 people visit the park annually. Crater Lake was giving national park status in 1902, making it the nation’s 6th oldest park. The lake has no inlets or outlets but receives a continuous supply of fresh water from snow. Popular recreational lake near scenic McCall Idaho.